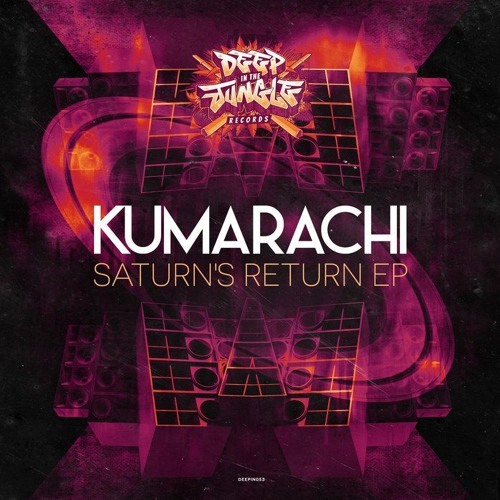 The man, the myth, the monster… Kumarachi returns to one of his strongest stomping grounds Deep In The Jungle for a furious four piece of amen addled action. “Sound Boi” sets the hair raising tone and pace before we’re treated to a whole cavalcade of collabs…. Newcomer Veak joins the fray for two stinking space gazing work outs while the similarly unavoidable Sl8r brings the badness on the finale “Freeze” where low slung subs worm, wriggle and melt beneath evocative rave pads and head turning pitched drums. Phenomenal scenes as always. Buy this EP on Juno here.